Business owners should try to break down the different things that all employees do in a given workplace in order to get a sense of all of the workplace hazards. Listing the work equipment is an important part of the process, of course. However, the manner in which employees interact with the work equipment matters as well. The employees might interact with the equipment in a manner that constitutes a falling hazard or a slip and trip hazard. 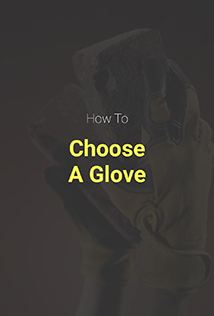 The choice of a welding glove for hand protection when welding depends on multiple factors. The factors themselves such as heat, temperature, flexibility, and comfort get determined by the type of welding you are doing. The main types of welding are MIG, STICK, and TIG. This welding method uses electricity to join metals by forming an arc between the metal and electrode. The electrode is consumed and is covered by metal inert gas. This welding method is preferred for long runs, but it is less precise. When grinding the weld, there is usually a lot cleaner. A lot of sparks are created when using MIG welding. Construction sites are among the most dangerous places to work. They top in workplaces accidents related fatalities. Prevention is key to keeping everyone safe when working either at home, at work or when traveling. A simple safety tool such as high visibility clothing can save your life in ways you least expected. It is important to remember that safety is not guaranteed and does not happen on its own. Everybody who is involved, from office workers to people who are handling equipment, to those who are supervising them, needs to participate in upholding safety precautions actively. In this guide, you are going to learn five tips that you need to observe to help in upholding workplace safety. Metal detectable products, tools and materials made from plastics have been developed to a standard where they are safe to use and detectable in the processing area. Deploying detectable materials in place of the ordinary plastics used before has significant benefits to food and consumer safety. Stray pieces breaking off and entering finished food and beverage products is a risk that should be minimized. The latest plastic coatings are metal detectable and therefore much more likely to be detected in products and rejected, reducing the risk of emergency recalls, additional expense and public damage to food and beverage manufacturers' reputations, and above all protecting the consumer. Considerations regarding health and safety while welding is something that can be a rather broad topic and can also mean many different things. It may be best to start with a definition of what welding actually is, which is joining different materials together by melting metal work pieces along with fillers to form joints that are strong. While there are many different types of welding, the two that are most common are known as electric and oxygen-fuel. There are quite a few considerations that should be taken in regards to safety when it comes to electric welding, which include installing both primary and secondary voltage lines in a safe manner, correctly grounding connections, clip and cable insulation, selecting welding rods in a proper manner, and the exact working environment. In the April 2014 edition of OH&S, there were many avoidance of hazards examples that were summarized, including fumes/gases, electric shocks, insufficient personal protection clothing & equipment (PPE), explosions/fires, and other similar safety considerations. Protective equipment is the most critical component of a healthy and productive worksite. Investing in the proper equipment to prevent and defend against injuries not only makes for a safer site, but also a more cost efficient site. Investing in initial safety is always smarter than dealing with injuries, both in terms of workforce cohesion as well as financially speaking; after all, a trip to the hospital is much more expensive than a simple hardhat. 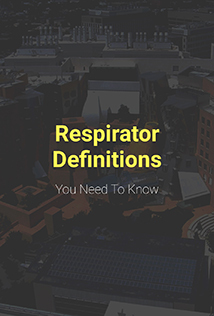 The following pieces of equipment are all equally important in their own right, and ore only listed for the sake of readability; they are NOT listed in order of importance, as each work site is different and will require a unique combination of safety equipment for that type of work. With that said, here are the top 10 most important pieces of equipment every company should invest in and every worker should dutifully wear to protect themselves while on the job. Many industries are now learning the merits of getting metal detectable tools and supplies. 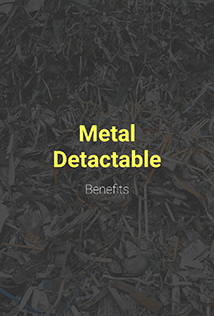 Many individuals are finding that it is much easier to actually find supplies that get lost if they are metal detectable, since it is possible to use a simple metal detector in order to find those supplies. This principle even applies to bandages and medical supplies. Many companies would benefit from investment in different metal detectable first aid kits. Many of these supplies are going to be comparatively high in quality, which is going to make a big difference for the companies who are going to try to get as much of a return on their investments as possible. There are various types of jobs that need to be done and as companies expand, new opportunities unfold. In multiple cases, these jobs are considered dangerous. As the need for project management increases in the corporate world and experts are required, businesses need to invest not only in their goals to reach a bottom line but invest in their Employees. Hearing protection is hugely underrated when it comes to safety equipment. Far too many people downplay the importance of ear protection, in spite of the fact that plenty of industrial jobs are going to produce so much noise that people can destroy their ears and lose their hearing decades in advance. Industrial ear plugs can make all the difference in terms of a person's long-term health and long-term well-being in general. People who work in noisy workplaces should invest in industrial earplugs. Almost anyone who works in the construction industry, metal working industry, or almost any other industry that has a lot of heavy machinery that makes a lot of noise could use a pair of earplugs. Ideally, people should test their workplaces for noise and wear earplugs if the average noise in a given workplace exceeds seventy decibels. In every organization, whether an office block or a manufacturing plant or a training institution, safety is an important factor to consider. It is important to have fire alarms, fire extinguishing equipment, smoke extraction systems, overhead fire extinguishing sprinklers, different types of hand protection, gas masks and carbon monoxide detectors among other safety equipment. Not only will the equipment help in saving lives but an organization will be able to minimize unnecessary losses as well as costs brought about by being sued by employees in case of an accident while working within the company environment. When an organization has set up a well functioning safety equipment, employees are guaranteed protection especially in areas where they deal with dangerous chemicals, gases and other products. For example, fire safety equipment will help to put out a fire in case one is present and will also redirect dangerous gases produced by the fire to the outer environment.